Created in 2017 from within the home design industry, Shed Textile Company focuses on the art of hand weaving. All of the fibers used in the designs are sourced from local farms, trade shows and fiber festivals. Each artisanal design is created by hand — beginning with the initial stages of fiber selection, hand warping to dressing the loom —and is then woven on a traditional wooden loom. Collections are created in carefully curated small batches. The designs are meant to bring a touch of luxury to your home through the use of various fibers — adding warm textures, form and color to any space. Shed Textile Company is the work of textile designer Stephanie Pinerio. Stephanie’s love of fabrics stems from her years as an undergrad at Parsons School of Design, although she ultimately pursued a career in advertising that lasted two decades. In 2012, she decided to enroll in a textile design class at the Fashion Institute of Technology, a move that inspired her to pursue a new line of work designing wallcoverings, drapery and upholstery fabrics. 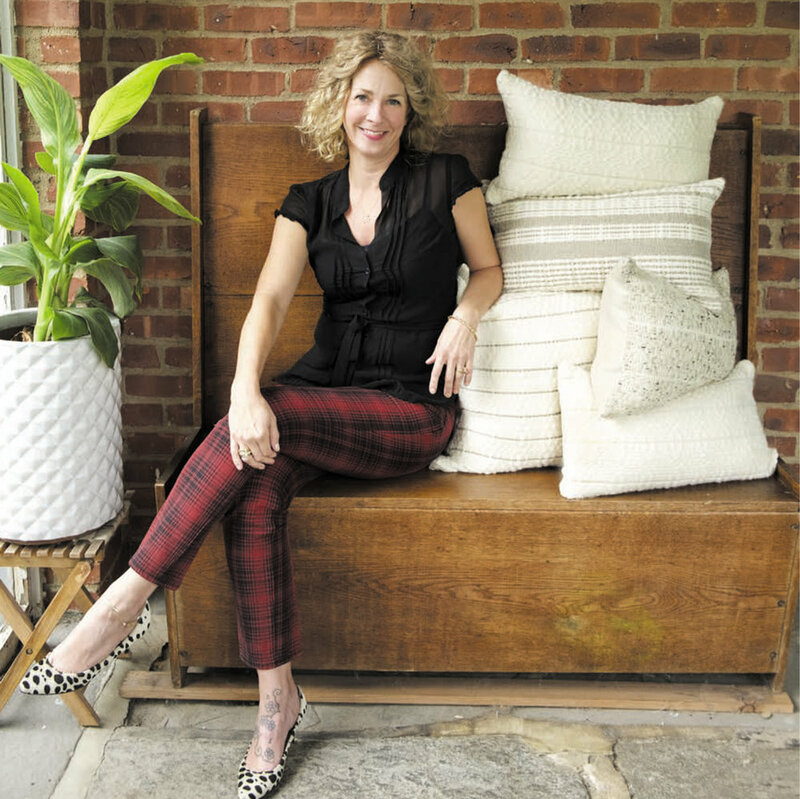 It was from within the home design industry that she launched her own handwoven product line — Shed Textile Co.
To request pricing, tear sheets or to place an order, please contact us at stephanie@shedtextile.com or 917 517 5653. Payment is due in full upon receipt of invoice. We accept payment via check and credit card. We offer a trade discount of 10%. The discount increases to 15% for orders over 10. Custom orders are taken upon request. We offer customization for color, size and pillow insert fills. Lead times vary and are generally between 3 - 6 weeks. Please contact us for further information regarding your specific inquiry. Lead times begin with receipt of payment in full.